...what's happening in the news? Clare Mailer, Perth and Kinross Council’s Senior Housing Service Manager described the work of its Service User Review and Evaluation (SURE) Team as "sector leading” and as “really making a difference to improve the services we deliver to all tenants and customers”. This follows the success of the SURE Team in being selected in December 2015 as one of three finalists for the first Excellence in Scrutiny Award at the Scottish Chartered Institute of Housing (CIH) in Edinburgh. The Scottish Government’s Housing Policy Services Unit sponsored this Award to recognise and to commend the new and innovative approaches that are being made by tenants and landlords to achieve excellence in their scrutiny activities and to improve their housing service. Perth and Kinross Council was the only Council Registered Provider landlord to reach finalist status across all nine categories of the CIH awards. The SURE Team appointed PS Consultants as its own Independent Adviser in August 2014. Since then the SURE Team has completed two main scrutiny exercises on the Council’s Housing Service Complaints Procedures and an assessment of ‘Communication around Repairs’. They also carried out their first overall appraisal of the performance of the Council’s housing service using the Scottish Social Housing Regulator’s annual housing charter outcomes as published in both August 2014 and in August 2015. 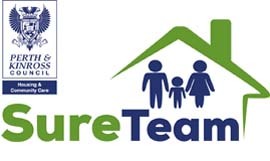 The SURE Team is currently assessing how the Council’s Housing and Safer Communities Team handle Anti-social behaviour in areas where council housing is the main form of housing tenure. PSC has been appointed as the Independent Tenant Advisor to support the development of tenant scrutiny in Perth over the next 12 months. We are pleased to be working with Tom Hall to advise and assist schools to fundraise for additional initiatives and out of school activities which we are piloting with one school in the North West of England. Tom is new to PS Consultants and adds a new dimension to our company. He has over 25 years experience of working with schools and colleges. His commercial and fundraising background enables him to work closely with head teachers, bursars and educational business managers to provide advice and information on how best to raise awareness and much needed additional funds. We were appointed in January 2014 to support Burnley-based Calico Housing Association in a consultation exercise with the residents of its Royal Court sheltered scheme. Having originally been chosen by the Northampton Tenant Panel as their ITA for the Council Housing Options Appraisal back in August 2012 we were delighted to have been re-appointed by them as their ITA in December 2013. This next phase of the ITA work will last until January 2015 and will culminate in a new Northampton ALMO become operational on Jan 5th 2015. The Council’s work on the Options Appraisal, and particularly the work done by the Tenant Panel, has been exemplary in our view. This is the second ITA job we have done in the last two years, following our stint as ITA in Shropshire in 2011 and 2012. In January 2014 we also began work with Turf Hill EMB and Rochdale Boroughwide Housing on a new Management Agreement to take the EMB in to the next 5 years at least. Steve Sharples of PSC originally developed the Turf Hill EMB in 1992-4 and we are pleased to be working once again with old friends in one of the longest established EMBs in England. Many clients will remember warmly Phil Stokoe who worked with us for 8 years up until 2009. Phil has recently been appointed to a job with the International Monetary Fund in Washington. We wish him well. Appointment as Salford ITA. In June 2013 we were chosen by the Salford Customer Panel to be their Independent Tenant Adviser in the proposed stock transfer of 8300 Salford Council homes in Central Salford. Tenants will be balloted in early 2014 on the proposal to transfer homes to the existing ALMO, Salix Homes, which will convert to being a Registered Provider of social housing. This is the first time we have won an ITA job in Salford, and we are very pleased that the Customer Panel has put their trust in us as the ITA. In the event of transfer, Salix is proposing to become a mutual housing organisation on broadly similar lines to the Rochdale Boroughwide Housing mutual model ( which we advised on as the Rochdale ITA and as advisers to the RBH Constitutional Commission which developed the Rochdale model). Northampton ITA Contract extended. 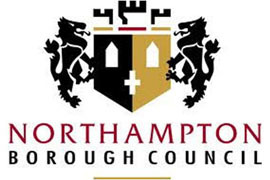 We were also pleased that the Northampton and Tenant Panel and Northampton Council were happy to extend our contract in respect of the Housing Options Appraisal currently underway in Northampton. The Council will now reach a decision on its preferred option in December 2013 following recommendations from the Tenant Panel and the Housing Options Panel. Southway Housing Trust; Westcroft Community Centre. Following a piece of work we did to help establish a volunteer Steering Group to take over the management of Southway’s Westcroft Community Centre in Burnage (Manchester) , we have also been doing s further piece of work to legally incorporate the Group using the new Charitable Incorporated Organisation model. We hope to have the Group incorporated before the end of 2013. Evaluation of the Newport ‘Bridge Model’. We recently completed for Newport City Council an evaluation of the ‘Bridge’ Model used in the transfer of council homes to Newport City Homes. As developed by the council, the ‘Bridge’ model envisaged the transformation of the Newport City Homes legal structure into a mutual organisation some time after the 5th anniversary of transfer. Our report assessed NCH’s progress against that objective and identified a number of issues in delivering the vision of a member-driven mutual organisation. Rochdale Scrutiny Commission. Summer 2013 also saw us complete the development of the Rochdale Boroughwide Housing Scrutiny Commission. As well as training Panel Members we supported them to carry out their first detailed Scrutiny on the operation of RBH’s ‘Compliments, Comments, and Complaints ‘ policy. The Report made more than 30 individual recommendations for improvement which RBH’s management team have begun to implement. In addition, we also produced a ‘Scrutiny Toolkit’ to guide both current and potential future members on the methods and objectives of scrutiny. SHROPSHIRE ITA. We were chosen in April 2012 by representatives of Shropshire Council tenants to be their ITA and advise on the proposal by the Council to establish a new ALMO. Shropshire Council is looking at the ALMO model as a way of bringing the housing service closer to local communities, following the recent creation of this unitary council to replace a number of councils. We have a work programme that will take us up to December 2012, at which point the Council will make a decision on whether apply for permission to establish an ALMO. CLOVERHALL Tenant Management Co-op A Business and Development Plan for Cloverhall TMC. Also in Rochdale we began in May 2012 a programme of training and development with the Management Committee of the Cloverhall Tenant Management Co-op. Established in 1985 , the Co-op is one of the longest established such organisations in the North West. We will be helping prepare a new 5 year Business and Development Plan, and training the Management Committee on its implementation. WATMOS Project Management. We were appointed in December 2010 to Project Manage the proposed transfer of three London Borough of Lambeth Council estates to the Walsall based Walsall Alliance of Tenant Management Organisations (WATMOS). The three estates (Ethelred, Magdalen, and Thorlands) are all managed by their own Tenant Management Organisations. This is the first time in England that TMOs have proposed stock transfer to another landlord that is itself made up of TMOs (WATMOS is made up of eight individual TMOs). After a very hard fought campaign, with a big anti-transfer push by Defend Council Housing, the ballot result announced in November 2011 produced a 51.1% ‘Yes’ Vote on a 68% turn out. This unique transfer will give Lambeth tenants on the three estates the opportunity to further develop self-management and ensure a major programme of improvements to their homes. The World’s Smallest Independent Tenant Adviser Job? After having worked as ITAs in the two largest stock transfer ballots in the UK, Glasgow and Birmingham with around 80,000 properties each, we were very pleased to be appointed in October 2011 by Liverpool City Council to be ITAs to a proposed stock transfer of just 3 homes in Liverpool. The homes were never transferred when Liverpool City Council transferred its homes in the South Liverpool area following a tenant ballot. As ITAs we have been working directly with the tenants involved to understand their options and to make an informed choice about them. Almost 20 years after working to develop the pioneering Estate Management Boards on the Hollin and Turf Hill estates in the Rochdale Council area, Steve Sharples of PS is again working with both EMBs to develop new management agreements in the event the forthcoming stock transfer ballot results in a transfer to Rochdale Boroughwide Housing. The original Hollin Management Agreement pre-dates the Right to Manage and the Modular Management Agreement (MMA), whilst the Turf Hill Agreement is based on the original 1994 MMA. So we have started from scratch in working with both EMBs to determine what they want to retain, and to change. Caerphilly ITA The Caerphilly Tenant and Resident Forum chose us to be the Independent Tenant Adviser in Caerphilly in February 2011. We have worked with them to set up a new Tenant Panel to contribute to the Offer Document, and to elect from that Panel tenants to sit on the Shadow Board. If tenants support the proposal in a ballot the 10,900 council homes in Caerphilly will transfer to a new community mutual organisation called Castell Mynydd. Fife Tenant Participation Review. With around 31,000 homes Fife Council is one of the biggest council housing landlords in the UK. We were appointed in late 2010 to review its tenant participation system as a prelude to the production of a new three year Tenant Participation Strategy (the development of which is a legislative requirement of the Scottish Government). Fife is unusual in having three active Tenant and Resident Federations, which it supports to employ directly their own professional staff, and which have direct responsibility for developing and supporting individual tenant and resident organisations. Our proposals take account of the latest proposals from the Scottish Government on the ‘outcomes’ that will form part of the Scottish Social Housing Charter. They centre on the development of a much stronger area focus for tenant participation and a re-balancing of the relationship between individual and collective forms of involvement. We have been working with Norwich City Council to review its tenant participation system. Back in early 2009 the Council had received a very adverse inspection report on its housing service, including its approach to tenant participation. The Council responded by making major changes in the structure and operation of the service. We were asked to review what had been achieved in the two years since inspection, and produce proposals for further developing tenant participation , particularly in the light of the evolving regulatory structure. Our proposals involved the development of a formal system of participation, with key roles for Scrutiny and Complaints Panels, alongside the further development of informal and individual forms of involvement. HOLTS EMB MANAGEMENT AGREEMENT Following on from the work we did as ITA in Oldham, we have been working with Holts Estate Management Board in Oldham to develop a new management agreement between the EMB and First Choice Homes Oldham (FCHO) following stock transfer from Oldham Council to FCHO. 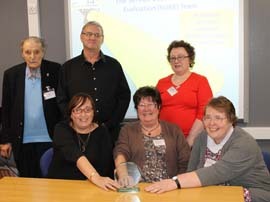 In May 2011 we were also chosen by tenant representatives of Charnwood Neighbourhood Housing in Loughborough to work with them to train tenants and staff on the principles of resident scrutiny, and then to work with them to develop a resident scrutiny function across all service delivery areas.